Exploration is an integral part of all spiritual practices. A true retreat provides the support for the practitioner to go more deeply into their practice. We are supported by the physical space, by our teacher, by our community of fellow students, by the meals that are lovingly prepared for us and the practices that we do. On a retreat we focus on activities that nourish our spiritual selves. We make space and time for practice, for inward contemplation and for deep rest. The insights, perspective and experience we have on retreat in turn create a wider, deeper and more luminous container for us to live in once we get back home. Our retreat will be in the placid lakeside of Lake Atitlán in Guatemala. Each day will include individual asana and pranayama classes to deepen your connection to your self. Three delicious meals will allow you to nourish yourself in the community of others. You will also have time to immerse yourself in the awe-inspiring nature and culture of Lake Atitlán, Guatemala. The countryside around Lake Atitlán is home to 12 different villages which you may want to explore, plus unique regional markets like you have never experienced. Organic, vegetarian meals and beautiful accommodations are an important part of this retreat. Each room is beautifully appointed with handicrafts from the local village. The retreat begins at 3 pm on Saturday afternoon and finishes at 11 am one week later. Students should have at least 6 months experience in the Iyengar method. Want to bring your spouse or a friend? Tour & lunch at Amigos de Santa Cruz and their training center in the village of Santa Cruz. Chichi Market visit (one hour drive). An incredible regional market. Enjoy visiting the Mayan Catholic churches there. Village tour of San Juan including the women-run textile cooperatives filled with unusual and enchanting items. A favorite stop there is the colorful Alma de Colores. This organization is a labor and social inclusion program for people with disabilities. They have a wonderful little cafe, handicrafts and cute gardens. We will provide you a full welcome packet with all the details once you register. All meals are vegetarian and are prepared by the Villa Sumaya staff. Meals will be served in the communal dining area. Villa Sumaya does accommodate eating restrictions. If you would like to order chicken or fish options, it will be an additional $7 per meal. Snacks are also available. Green goddess exotic juice, wine, beer, cocktail and raw organic snack bar for you! Accommodations, three daily vegetarian meals, yoga, unlimited tea/coffee/water service and all taxes. Not included: any type of transportation, optional activities, spa services, meat added to your meal plan, specialty drinks, internet, phone calls, copies and administrative work. Staff tips are not included. We recommend giving $6-8 per day per person. The deposit is not-refundable. Cancellation given 60 days or more before the event will have a full refund, minus the deposit. No refunds will be given for cancellations within 60 days of the retreat. Harmony Spa offers rejuvenating bodywork session ranging from Swedish, Ayurvedic and Thai massage to energy work. Services vary depending upon the time of year. Villa Sumaya is a place for guests to unplug from their daily life, allowing more time for rest and reflection. Two complimentary computers with internet are available for quick check-ins with friends and family. Phones are available for local or long-distance communications. If you want to stay connected, wifi is available throughout most of the center on your personal device, for $3/day or $20/week for wifi. The complimentary, solar-heated, stone hot tub oasis is tucked above a garden lounge. For a detoxifying sweat, the wood-burning sauna can be reserved for a small charge. They are happy to organize all your transportation, spa services and cultural outings. Villa Sumaya works closely with Amigos de Santa Cruz, a non-profit organization that supports the indigenous people of Santa Cruz, our local village. If you or any of your guests would like to bring donations, we would be happy to coordinate this act of kindness. To learn more about Amigos, visit amigosdesantacruz.org. Providing this kind of help often gives groups a true sense of connection with the local Mayan community and thereby a deeper retreat experience. 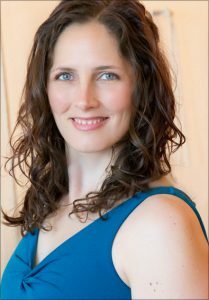 Heather Haxo Phillips is a certified Iyengar yoga instructor at the Junior Intermediate III level, among the highest certified Iyengar teachers in the East Bay. She is Director of Adeline Yoga in Berkeley, California and has been teaching for nearly 15 years. Heather is past President of the Board of Directors for the Iyengar Yoga Association of Northern California. She is also certified as a yoga therapist through the International Association of Yoga Therapists (c-AIYT), a restorative yoga teacher, and registered with Yoga Alliance as an E-500 level instructor. She has specialized training to help students with scoliosis, injuries, women’s health and pre-natal yoga. Heather deepens her own practice by studying regularly with senior teachers and the Iyengar family in Pune. Watch a video about Heather’s classes or read her Yelp! reviews. Heather has traveled widely throughout the world, especially places off the beaten path. She is known for her well-organized events and retreats. Anna Delury began the practice of yoga as a teenager in the late 1970’s with such teachers as Mary Dunn, Ramanand Patel and Kofi Busia. She taught her first yoga class in 1979 at the Center for Yoga, Los Angeles. In 1982, Anna was invited to join an intensive given by B.K.S Iyengar at R.I.M.Y.I. in India. Since that time she has travelled regularly to Pune for study with the Iyengar family, most recently from late January to early March of this year.Anna is one of the Iyengar Yoga Institute of Los Angeles (IYILA) founders. At various times during the 1980s and ‘90s she edited the IYASC’s newsletter. Then in 2001, along with Jackie Austin and Linda Nishio, she spearheaded the creation of Yoga Vidya, the print journal of the Iyengar Yoga community of Southern California. She continued to serve as an editor and its senior advisor until June 2010. Anna earned a BSc. in Kinesiology from UCLA in 1988 and B.K.S. Iyengar awarded her a Senior Intermediate II level certificate in 2009. She participates in Iyengar Yoga conventions held in the United States both as a student and staff teacher/assistant. Anna also volunteers as an assessor for Iyengar Yoga certification in the U.S. and is deeply committed to mentoring her fellow teachers through this process. Known for both her insight and wry sense of humor, Anna seeks to transmit the light of yoga that B.K.S. Iyengar kindled in her to each student in every class.